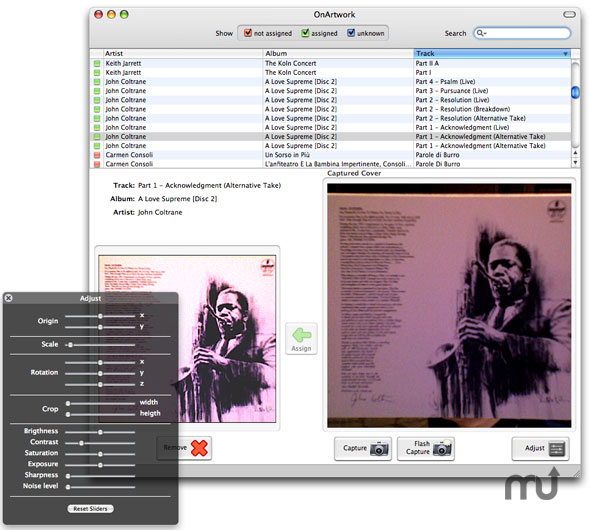 Captures CD covers using your iSight. Is there a better alternative to OnArtwork? Is OnArtwork really the best app in Audio category? Will OnArtwork work good on macOS 10.13.4? OnArtwork captures CD covers using your iSight video camera and assigns them to your iTunes tracks. Mac OS X 10.4 or later, an iSight video camera. OnArtwork needs a rating. Be the first to rate this app and get the discussion started!